For this photoshoot, we headed out to Providence and shot the pictures around the river. There was still color there luckily and it turned out to be a really great location! This little family was so silly, happy and quirky that it was easy to capture their real smiles as they played with each other throughout the session. We even got some big smiles out of their itty-bitty little guy! I try to make sessions really fast and really fun, especially for the kids. 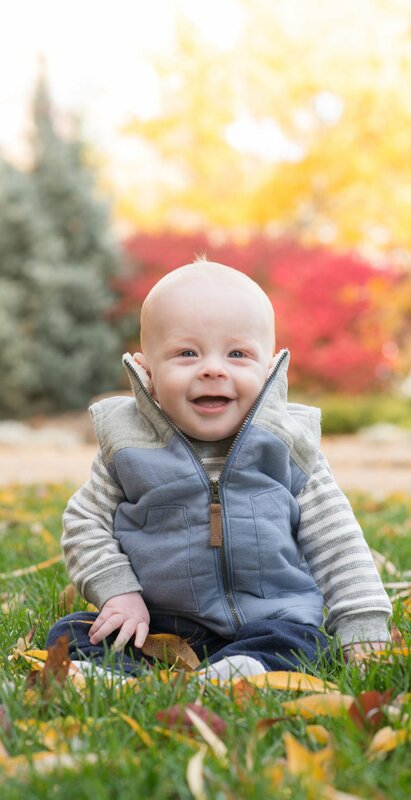 I'm sure you want pictures of your kiddos at their cutest, so I try to make the whole thing seem like an activity to them. Grumpy kids equal stressed parents equal fake smiles. Photoshoots with me are always upbeat and laid back- then we get the best framable images for you!